By living a normal, boring life like most people do, one has an excellent chance of becoming yet another statistic on the proverbial list of the leading causes of death. Of course, the process can be accelerated a bit by eating lots of fat, giving up exercise, smoking, drinking heavily (not water), and worrying. Buck Tilton prefers to ponder the alternatives. 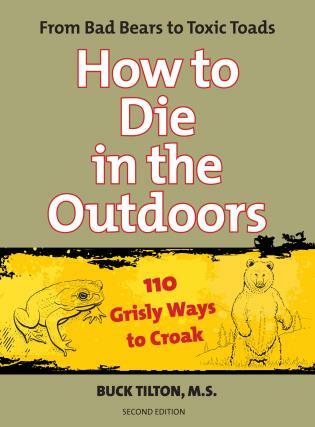 In How to Die in the Outdoors, he presents us with 110 far more interesting and unique ways to perish: snake bite, elephant foot, walrus tusk, rhino horn, and many, many more. In a straightforward style laced with his trademark wit, and presented in easy to understand terms, Tilton describes not only the details of how one can die, some intriguingly gory and all based—more or less—on facts, but also the ways to avoid death should life-threatening situations arise in which one is not ready to check out of this world and into whatever afterlife there may be. 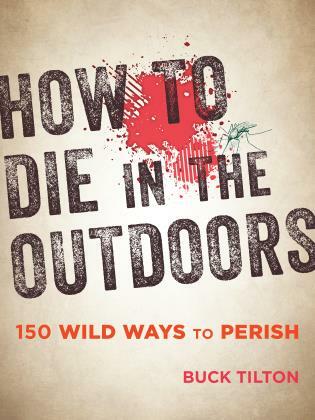 Buck Tilton, a wilderness medicine expert, is a columnist for Backpacker magazine. His many FalconGuides, which include Wilderness First Responder and Backcountry First Aid and Extended Care, have sold more than 100,000 copies combined. 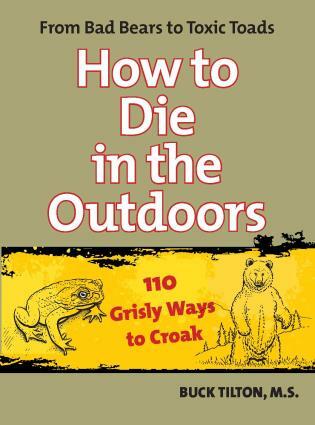 He is also the author of two books under The Globe Pequot Press's how-to imprint Knack, including Knack Hiking and Backpacking. 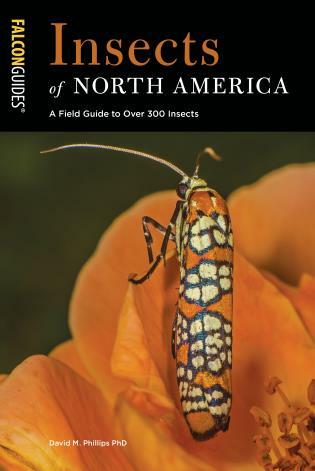 He teaches for the Wilderness Medicine Institute at the National Outdoor Leadership School. 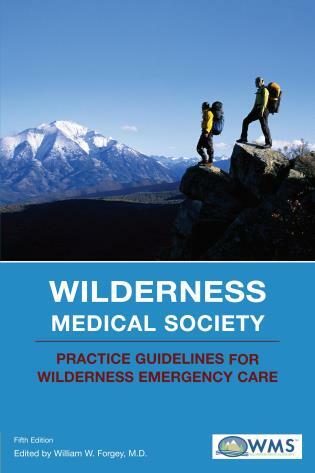 Wilderness Medical Society Practice Guidelines for Wilderness Emergency Care Forgey, William, M.D. Wilderness Medical Society Practice Guidelines for Wilderness Emergency Care Forgey, William W., M.D.